Editor’s Note -This is a malicious story originated by Nawaz Sharif and Maryam Nawaz. Pakistan’s Senior Journalist Sohail Waraich sets the record straight. In our opinion this is typical mischief perpetrated by the forces of corruption led by the jailed former rigged election product Nawaz Sharif. It is also an effort to destabilise not only the government of PM Imran Khan, but also to impact the improving economic and security environment of Pakistan. As the Pakistan Tehreek-e-Insaf government recovers from the embarrassment caused by an incident involving Khawar Farid Maneka, one of Pakistan’s senior journalists has come up with yet another twist to the story. 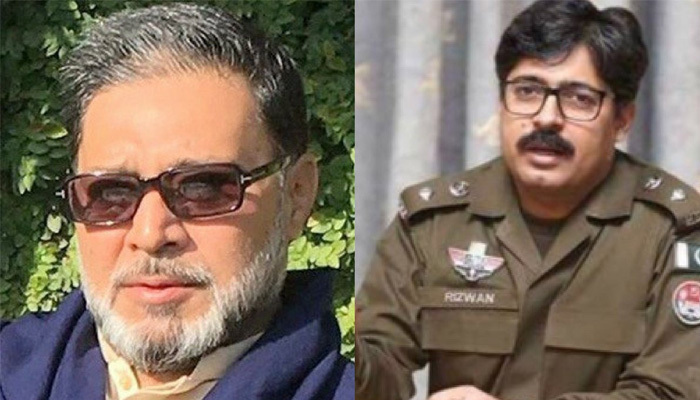 The host of Geo TV’s “Aik Din Geo K Sath” show and columnist Sohail Waraich says neither Prime Minister Imran Khan nor his wife Bushra Imran has anything to do with the transfer of Pakpattan District Police Officer (DPO) Rizwan Gondal. According to media reports, Gondal was reportedly transferred at the behest of Khawar Farid Maneka, the former husband of Bushra Imran after the Punjab police officials offended him by intercepting his vehicle. In his weekly column, the inimitable journalist wrote in Daily Jang that the actual story is completely different from what has been largely reported. He goes on to reveal that an intense tug of war and acrimony persisted between Maneka and Bushra Imran, rejecting the common perception that the divorce between the two took place in an amicable manner. Sohail Waraich says the differences of personalities led to the divorce between the two despite their efforts to keep the union intact. All the arrangements and interventions from close friends to save the relationship also failed. The mistrust between the parents of five children continued to deepen even after Bushra Maneka tied the knot with Pakistan Tehreek-e-Insaf chairman Imran Khan. In the run-up to the July 25 elections one of Maneka’s brother, a candidate of Pakistan Muslim League-Nawaz, openly expressed his resentment of their former sister in law. In the first incident that took place on August 5, Sohail Waraich writes that Mubashira Maneka and Ibrahim Maneka, children of Farid Maneka and Bushra, were intercepted by the police. A heated argument ensued between police and Ibrahim who contacted his father by mobile phone. Maneka rushed to the spot and took his children away. According to an inquiry report prepared by the Punjab Police, Ibrahim said in his statement that the incident took place when he along with his sister was walking to the shrine of Baba Farid. After the incident, Khawar Farid conveyed to his ex-wife that the police had acted at her behest. Angered over the incident, Ibrahim and Mubashira stopped talking to their mother. On the other hand, Bushra Imran thought it to be the work of Khawar Farid’s brother who was pitting children against their mother. Khawar Farid also probed the DPO to reveal the name of the person behind the whole episode. “What could the DPO have told when there was nothing to tell,” Sohail Waraich wrote. Before the dust had settled, came August 23. Khawar Farid, his new wife, servants and guards were intercepted by police while they were on their way to the Peer Ghani State. An inquiry report prepared by Additional IG Abu Bakar Khuda Baksh, Khawar Farid Maneka didn’t pull up when he was signalled by police. Maneka, however, argued that he neither saw any police post nor any red light. According to the columnist, the police chased the two cars of Maneka’s convoy and intercepted them. Farid Maneka came out of his vehicle and introduced himself. Officers were insisting for vehicle search suspecting the presence of illegal arms in the custody of Maneka’s guards. Maneka then contacted DPO Rizwan Gondal and informed him of the situation. The DPO, the columnist wrote, asked the officers to let Maneka go. The second incident strengthened his suspicion that the police were acting on someone’s orders and Bushra Bibi was the prime suspect thinking that she was doing all this out of vengeance. Ahsan Jamil Iqbal, a family friend of Maneka’s, intervened after both the sides exchanged allegations. Jameel approached Punjab Chief Minister Usman Buzdar whom he had acquainted during a couple of meetings in Bani Gala and brought the issue into his notice. Additional IG Abu Bakar Khuda Baksh in his inquiry report wrote that neither Punjab IG nor another police officer had asked DPO Gondal to apologize to the Manekas. But a suggestion indeed came up during a meeting at the Chief Minister House that either Gondal should apologize or give an explanation to Ibrahim Maneka. Meanwhile, the issue surfaced in the media and the transfer of DPO became politicized. Explaining the entire episode, Sohail Waraich wrote that two different forces of the Punjab Police; Highway Patrolling and the Elite Force, have intercepted the Maneka family. Both the incidents took place late at night when police see everybody with suspicion and don’t hesitate in manhandling citizens. Such incidents are commonplace in all of Punjab and one of them happened in Pakpattan, but the transfer of DPO became the talk of town just because the issue involved Punjab CM, First Lady and her former husband. Nawaz had already made a Plan by using Dr Saif who prepared RTS Programme- *For the last one month – A pitched battle to stop Imran Khan*. Where Nawaz Sharif’s Election Rigging Via RTS Failed. Delay in Results were Nawaz Sharif’s Software Manipulation. *For the last one month – A pitched battle to stop Imran Khan*. *Imran Khan is the death sentence to corrupt politicians, journalist, bureaucrats, judges & businessmen*. They all have to fight together to stop him coming into power. A very well planned strategy to create doubts about Imran Khan’s victory has been executed in last one month with variable Time & space. *Reham Khan* tasked to launch personal attacks portraying Imran Khan as a bad character, bad husband & other serious allegation to taint his image. *Iftikhar Chaudhry* tasked to refresh old Sita White case. *Hamid Mir, & Shaukat Siddiqui* tasked to make elections doubtful blaming role of ISI. *General Asad Durrani* book co-authored with former RAW Chief launched with perfect timing to discredit Army to rescue Nawaz Sharif. *Nawaz Sharif blamed ISI for Mumbai attacks* to highlight the uncontrolled role of establishment in Pakistan. *NAB made a surprise attack on Metro Peshawar* just a few days before Elections to create an impression of corruption in KP. Metro Multan was conveniently ignored despite serious allegation even by Chinese authorities. *Hameed Haroon* attempt to discredit elections citing the role of ISI at International Media. It was a deadly attempt but backfired. *IA Rehman, Saleem Safi, Talat Hussain, Shahzaib Khanzada* & likes of them constantly tried to malign decisions of Judiciary & NAB to support Nawaz Sharif. *Hussain Haqqani* became highly active internationally to malign establishment to create the impression of its linkage with Imran Khan. He even reached out to Reham Khan. *Kulsum Nawaz* illness was used to gain variable time advantages for Sharif’s movements. *Suicide attacks* in KP against ANP, MMA & PTI. Strangely no attack against PMLN or PPP. *Few lean Jalsas of Imran Khan* were projected as a change in public opinion. In the last, *confusion being created that Imran Khan would not be PM or his margin of victory will be small*. Such media warfare has never been witnessed in the history of Pakistan. *Almost all major political parties on one side with one common target to stop Imran Khan from winning*. *Foreign agenda* will suffocate if Imran Khan comes to power. It’s last decisive battle but the fight will continue for next 5 years. Every evil of status quo got together to stop Imran Khan. *In last 40 years, the first time it is not a battle between PPP & PMLN*! it was just PTI against PMLN, PPP, MMA & ANP. That’s the strength of Imran Khan, he got every rat out of its hideout to expose the real face of rats. Unfortunately, PTI own Media Cell was too naive to such challenges and became almost nonexistent and irrelevant to counter such disinformation. *Luckily, Social Media by PTI volunteers & general public took charge of such ferocious Media attacks and battled well*. *Nation must share the burden he has taken for our generations*. The Strategy of Madness by Saeed A. Malik. Although Machiavelli did advocate that a Prince may sometimes profit by playing mad, I can only think of a couple of times this strategy was actually employed. The first time it was used was by Richard Nixon during the Vietnam War. He told Melvin Liard to let the word out so that it gets to the Russian and Vietnamese leadership that the U.S President harboured such extreme hatred of communism, he could be expected to do just anything to end the Vietnam War. He wanted it bruited about that it was not beyond him, in a fit of madness, to order a nuclear strike on both the countries! He believed that if played properly this could induce both the Russians and the Vietnamese to come to the table and to end the war on U.S terms. Melvin Laird, who was Nixon’s secretary of defense at the time, was then ordered by Nixon, to lay out plans which would give credibility to this “Madness”. But he chose to put off giving shape to any such plans by one excuse or another. He thought this strategy was too “crazy” and dangerous and could lead to a nuclear war. But Nixon insisted, and in Oct 1969, US bombers, loaded with nuclear warheads were ordered to fly along the borders of USSR. And for three successive days, they did this. No one is certain about the degree of fright these manoeuvres created among the Soviets, but nothing much came of them. But the next time this strategy was employed, it did create an immense amount of fright. This was when Zulfiqar Ali Bhutto, then under arrest and knowing his quarters were bugged, began issuing fusillades of invective against Zia ul Haq and his generals, enumerating all the nice things he would do to them when he returned to power. By this stratagem, Bhutto did succeed in generating some serious fright. Serious enough to get himself hanged! And now we are seeing Mian Nawaz Sharif, egged on by his brilliant daughter, taking a leaf out of Bhutto’s book and running with it.. Whether the result he achieves is going to be as brilliant as the one achieved by Bhutto, one cannot predict at the moment. But one can clearly see where he is headed. He has decided that being the lion that he is, it best behoves him to roar and to keep on roaring until the roar flattens out into a bray. And he seems to have arrived at the felicitous conclusion, that without him, Pakistan stands to lose all meaning. Thus, if he cannot have Pakistan all to himself and his brood, Pakistan would be better off as a heap of rubble. So far his crowning achievement is the tattering of a political party built of three decades of loot and plunder. And then there is Chaudhry Nisar–sulky little Jack Horner…the sole carrier of the flag of integrity in the late lamented PML-N…the symbol of loyal service to the party. So loyal in fact, that he has proudly confessed to advising Nawaz Sharif at every turn, of how to make away with the wealth he stole from the country he pulverized and pauperized, and therefore to escape the just deserts coming to the plunder king of a ravaged land. But luckily for Pakistan, whatever be its plight, Nawaz Sharif’s last attack on the state and its army seems to have put public support decisively behind the army. Most writers and nearly all the anchors have given to cutting him slack, have either genuinely turned, or seem too embarrassed to help him along with their usual platitudes of mercenary support. Perhaps Pakistan will see better days yet. Perhaps the process of accountability now underway will be an across the board process, and proceed from top to bottom, because the poor bottom, having been buffeted so long and so mercilessly, is now in a truly sorry state and needs some relief. Nawaz Sharif’s recent comments about ‘Mumbai Attacks’ are based on lies and his delusional imagination as well as treacherous behaviour. I wrote on 9th August 2016, that Nawaz Sharif is a Raw Asset and damaging Pakistan from day one. The editor of Nawa-e-Waqat late Majid Nizami on the record called Nawaz Sharif a ‘bigger security risk’. Nawaz Sharif is a convicted and declared ‘Liar and Dishonest’ person by the Supreme Court of Pakistan. I don’t think his evidence or statement is acceptable in any court of law. The sad reality is that security establishment including army allowed him to continue damaging Pakistan. If General Raheel Sharif let the ‘Dawn Leaks’ have its logical end and culprits brought to justice, we would not be having this discussion today. General Qamar Bajwa current army chief is also been very soft on Nawaz Sharif for reasons unknown to me and rest of Pakistan. To deal with crooks and mafias like Sharifs and Zardari’s Pakistan need a General with balls, not the ‘crystal ball’. The lower ranks officers who put their lives at risk on the front line in all civil or military services are demoralised when they see compromises without any logical explanations. As far as Pakistan’s national intelligence agency ISI is concerned they must have reported all his (Nawaz Sharif’s) activities as they did in 1978 when he was actually hooked by RAW, the Indian Intelligence Agency. A former ISI officer Commodore Tariq Majeed: wrote in his book “Air Massacre over Bahawalpur” page 341: “Nawaz Sharif’s Indian Connection: India’s RAW hosted Nawaz Sharif’s visit to Delhi in 1978 and cultivated him in some ways, but he had been picked up and programmed by RAW’s masters, CIA and Mossad, to serve, like Ms Bhutto, the Zionist interests. What gives special significance and authenticity to this disclosure is that its author was a member of the key staff in ISI when Nawaz was being hooked by RAW”. That means the people on the job has done their ‘work’ and now senior decision-makers need to show some courage and bravery as well as punish the culprits by law of the land and in exceptional circumstance use exceptional mean to counter these elements. Crimes of Sharifs are not simple and straightforward but also don’t need a NASA scientist to solve them. A simple junior rank SHO of Police is enough to deal with them and trust me they will talk like a parrot’. After all they are criminals from the bones. “it was Nawaz Sharif who confirmed the identity of only surviving alleged terrorist of Mumbai Attacks which was quoted all over the world”. On the other hand, former IG Police of Maharashtra said in his speech that: “Ajmal Kassab was in custody of the Indian Agency at the time of Mumbai Attacks. He is seeking reinvestigations of Mumbai Attacks and fighting the case in the Indian High Court and case, hearing is due in October 2016. I have spoken to him and he has confirmed to me that a trial hearing is due in October 2016 this year”. On 18th February 2018, it was the 11th anniversary of the tragic train bombing incident (Samjohta Express train running between India and Pakistan) by the serving Indian army officer Colonel Prohit and others. The firebombing killed 62 people including 42 Pakistani citizens. Nawaz Sharif regime did not raise this matter with India, in media and at international forums. Why not? The Indian Hindu fundamentalist group run by the active Indian army officers placed 2 suitcases in the train and killed innocent passengers returning to Pakistan after meeting their relatives in India. Two bombs exploded at 23.52 as soon as the train left the ‘Dawana’ train station in Panipat district of Haryana. As a result, passengers, mostly Muslim Pakistanis were burnt alive in a caged train. As usual, the Indian government blamed Pakistan for this terrorist attack but a brave Indian police officer, Hamant Karkara surprised the world by exposing the Hindu fundamentalist terrorist network and arrested Indian Army serving Colonel Prohit, Major Padia and Hindu cleric Anand Swami. They subsequently confessed in the court and Swami Aseemanand told the court that he staged this terrorist attack with the full support of Indian Army. Like an agent under oath, Nawaz Sharif did not utter a word about ‘occupied Kashmir’ and Indian army’s atrocities. He continuously damaged the armed forces of Pakistan with full force. He protected Indian interests all along. If a British prime minister were doing this kind of treachery, I can assure you he would be dumped in the bottom of River Thames’. He did not appoint a full-time Foreign Minister for four years who could deal with the matters at international level. Nawaz Sharif did not appoint a full-time Defence Minister. Nawaz Sharif’s finance minister Ishaq Dar a money launderer and a liar has business interests with the Indians in Dubai. He is the main defender of Indian terrorist group MQM-A. His closest ally Mahmood Khan Achakzai declared KPK province as part of Afghanistan in an interview with Afghan newspaper but Nawaz Sharif did not say anything to him or suspend his membership or called for an explanation. He has been supporting Indians on Kashmir issue and never raised this pressing matter at any international forum where Indian Prime Minister Modi was present from Russia to France to New York. Nawaz Sharif played well on the Indian lines and had all these messengers from singer Adnan Sami Khan to actress Sharmila Tagore visiting his estate in Raiwind. Nawaz Sharif did not utter a word. He is totally numbed since the arrest of active RAW agent Kulbushan Yadav aka (Kulbhushan Naqvi) codenamed ‘Monkey’. Some analysists also believe that sudden eruption of movement in Kashmir is also linked with supporting Nawaz Sharif strategy to put pressure on Pakistan Army. His businesses in India and illegal wealth abroad is a matter of security risk be in Britain or elsewhere. His arms can be twisted at any time and his wealth could be confiscated at any time as what is known in British law ‘Proceeds of Crimes’. He has no receipts of his wealth and Panama leaks documents are enough to twist his both arms and wring his neck. People of Pakistan are still in shock for some time with the actions of Nawaz Sharif on the issue of 18th Amendment when he seemingly forced to support pro-Indian agenda parties like ANP/MQM and PPP. His links with Indians are not as simple and transparent as it looks. He is apparently a fan of NDTV and Bombay Palace Restaurant in London. Nawaz Sharif asked me at an APC in London in 2006 ‘Have you seen NDTV reporter’, I replied No Mian sahib and can I help you at all’. His love for Indians is never-ending. Police officer Hemant Karkare was killed during the operation against the Mumbai terrorist attacks on 26 November 2008. Three governments have been changed since and all the culprits of this terrorist attack are free now. Swami Aseemanand is granted bail. Now the question is for the security establishment in Pakistan how to deal with this issue as all Pakistani political governments including the current one has failed to take this matter at international forums. It is like scoring your own goal. This matter should have been at the UNSC like the Lockerbie bombing of the PanAm flight and case should have at a neutral place. A senior retired officer said to me: “do you think Nawaz regime sympathisers are not in the elite institutions”. I said: I don’t know you tell me. As for Nawaz Sharif’s ‘buying and selling’ of individuals with state funds is concerned it is not new. During the previous tenures, his wife and first lady were reported saying: ‘take a general’s wife for shopping and that is enough to tame the husband’. Due to change of strategy now they make close relatives father, son or brother as business partners as investment keeping in view as one day son or brother will become the top man. To hell with the people. All in all, Nawaz Sharif is the most disgraced and corrupt third-time prime minister of Pakistan. He has damaged Pakistan more than all the terrorist groups and enemy forces. He is an ally of Yadav and Modi in Pakistan. Read More: Is Nawaz Sharif Really an Indian RAW Asset? Read More: Mumbai Bombings: Who is stopping Karkare Murder Investigations? First visit to Islamabad Airport. Today was my first visit to the new airport as I was travelling to Karachi via PK 309. I started from Chaklala Scheme III at 16.45 hrs and reached the airport exactly after one hour of travelling on a Sunday when the traffic on Peshawar road and GT road was quite light. As we approached the airport the sight of wide approach road was reassuring. Suddenly I found a big queue of vehicles at two checkpoints which created a jam. So despite new facilities the ubiquitous traffic jam issue remained as it was on old Benazir Bhutto Airport. The new building of the airport presented a grand and spruced up look. Here at least was an international standard airport at Islamabad. As I entered the airport I beheld the red granite floor. While standing I closely examined and found chipped off edges of granite slabs, which was quite surprising as it indicated a poor workmanship. Apparently in hurry someone had compromised on workmanship. The queue for boarding pass was a horror story however. Quetta bound passengers were milling around all counters raising noises and entering in heated debate with the PIA booking staff. A plane bound for Quetta was diverted elsewhere and the Quetta flight now was at 11 pm. There was shortage of booking staff and the overworked and harried booking staff battled frequent internet breakdowns and communication problems. A seasoned staff member confided in me that due to sudden inauguration many services could not be fully developed a d especially communication equipment shortage like walkie-talkies etc was hurting the smooth operations. When I reached the booking gentleman he kept fidgeting with my ticket and his computer for good 15 minutes. After that he told me that since my ticket was economy premium and that the plane had been changed there was no premium economy and that I should contact my booking agent to upgrade my ticket to business class. The News was frustrating yet I went to another staff member and explained the problem. My travel agent meanwhile told me that since PIA ha changed the airplane to a 777 and failed to inform we needed to upgrade the ticket. I acquiesced. While this was being done suddenly the ticketing system went down with internet issues. Meanwhile I heard loud shouts by Quetta passengers who had started getting violent due to frustration. There were few counters and all overloaded with frequent computer breakdowns. Complete mayhem with harried looking booking staff and clueless coordination gentlemen presented an anachronistic scene for a newly inaugurated airport. Now when my ticketing issue was sorted out I was directed to finance desk to pay some amount. I moved around but found the finance guys absent! If I thought this was hilarious more was yet to come. The finance guy was frantically called on internet call bit the signals went down and no contact. Flight departure time meanwhile was approaching close and I was getting restless. After a tense wait of 15 minutes the cash guy sauntered in and I explained my requirement. He made few calls to get the right information as he was not aware of the ticket change dues payment procedure. After wasting a lot of time he finally informed me that there were no extra charges and that I could go. Relieved finally I dashed for Gate B1 to be precise for my inaugural flight from Islamabad Airport. After a lot of escalator movements we reached at the gate expecting to be led to the pedestrian bridge. No such luck however and this takes the cake. At the gate a forlorn yet spirited ASF guy informed us that we would have to wait for a bus to take us to the plane. I asked,”Where is the pedestrian bridge?” He replied matter of factly,”Sir, the pedestrian gate could not be operated as the Civil Aviation guy has gone away with the Key”. The passengers despite their discomfiture burst into guffaws. At least there was some redeeming feature in this disorder. Our flight took off 3xactly an hour late, nothing wrong with that since by PIA standards that was perfectly normal. Amid all this turmoil on the airport especially on the booking counters, there was one gentleman with the name of Harish Kumar and two ladies Maria and Bushra on the counters who were a picture of equanimity and handled all irate passengers with professional courtesy and a cool head. One felt for those nice souls caught up in an impossible situation. The overall impression was such that as if someone had deliberately conspired to create confusion on the airport. 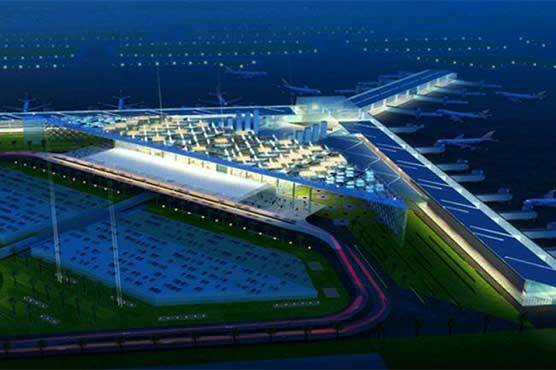 I appeal to all concerned that if due to electoral expediency the premature inauguration was necessary all facilities and requisite should have been provided at the new airport. My humble suggestion is to suspend operations there for few months to get the complete staff and facilities operative and the flight operations are conducted from the old airport till then.